This is a post by Dr. Adriana Bankston. 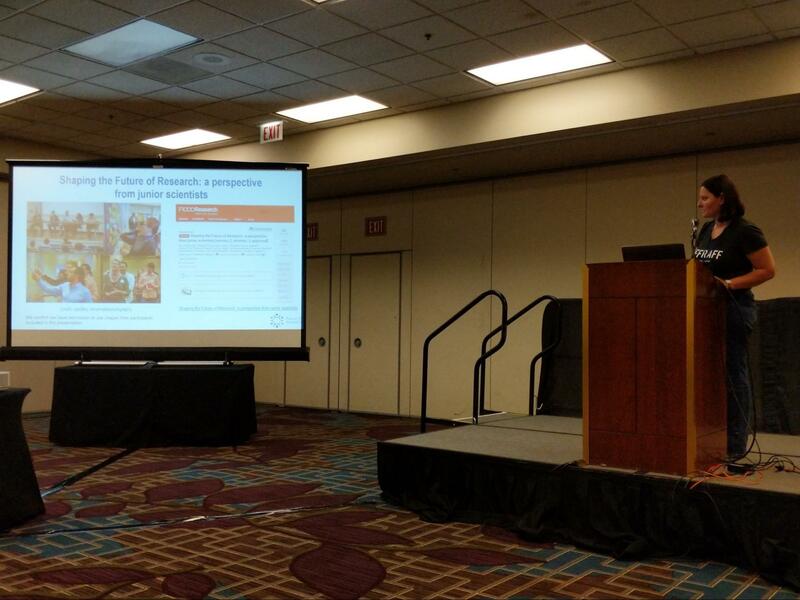 Future of Research participated in the S|GNS (Science | Government, Institutions & Society) Summit held in Chicago, IL, from July 6-8, 2018. This was an amazing event bringing together members of communities that rarely interact but are deeply invested in the future of science in society. 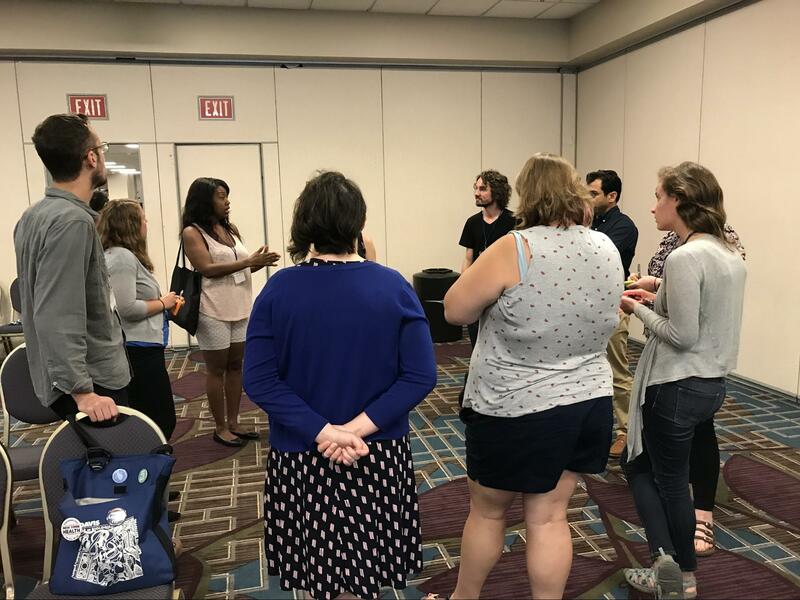 There were many great presentations and discussions revolving around the three focus areas of the event: science advocacy, education & outreach, and community organizing. If you would to review the @FORsymp tweets from the event, please look up #SIGNS2018. 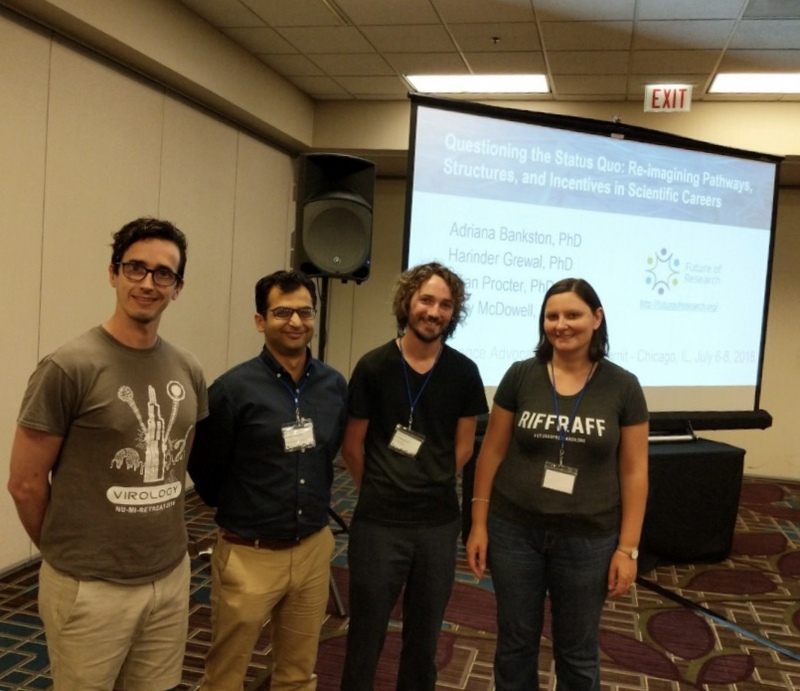 The workshop given by Future of Research (Adriana Bankston, Harinder Grewal, Dean Procter, Gary McDowell) was entitled “Questioning the Status Quo: Re-imagining Pathways, Structures, and Incentives in Scientific Careers” and in the science advocacy category. The workshop description from the program is below. Prior to the workshop, we initially prepared a slide deck designed to focus on recommendations for change in the scientific enterprise, leading to the formation of FoR as a nonprofit, and discussions of the 2016 FoR meeting on Advocating for Science where we learned about views of the academic community around science advocacy. However, upon attending the S|GNS Summit and gaining a better understanding of the audience, we refocused the talk on how FoR seeks to empower early career researchers through grassroots movements. 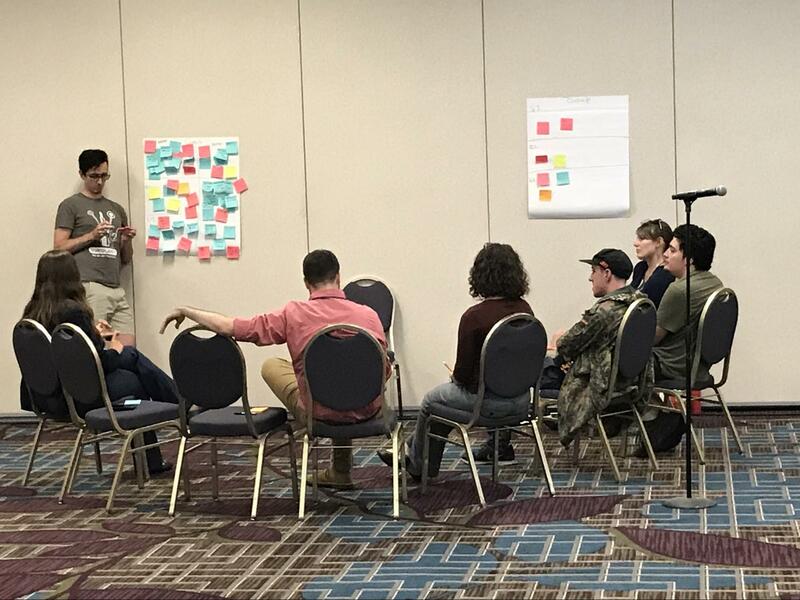 We then guided the group discussions around ways in scientists can achieve change and how the S|GNS Summit community can support their advocacy efforts towards improving society. This workshop structure resulted in a great discussion around the three main questions. The participants were PhD students, postdocs, a recent graduate from undergrad, a senior research associate and other. It was encouraging to see a good mix of researchers at different stages in their careers thinking about their scientific future now. FoR workshop speakers (L->R): Dean Procter, Harinder Singh, Gary McDowell, Adriana Bankston. This session was also recorded, stay tuned for the video coming out soon. #1 What are the specific barriers that junior scientists face in effecting change, and how could these barriers be overcome? There were many more barriers than solutions, and they vary quite a bit around areas that we largely expected to hear. #2 What training do scientists need to effectively influence society? An obvious need is training researchers to communicate their science to various audiences in both speaking and writing, and having this training be incentivized, although it was unclear where this training should come from. #3 How could this community more effectively support scientists and their advocacy efforts? These responses revolved around the ability of scientists to share their work with the public, as well as the need for non-scientists to become more educated about news, and the March for Science being used as a way to reach out to various groups. During the introduction, Adriana Bankston explained how FoR got started, and Gary McDowell described NASEM reports calling for reform in the enterprise. Productive group discussions during the workshop. Overall, there was clear awareness around the issues in academia and barriers that would prevent scientists from advocating in public. At the same time, this community was aware of the fact that we all have a role to play in improving the system and supporting scientists in advocacy. 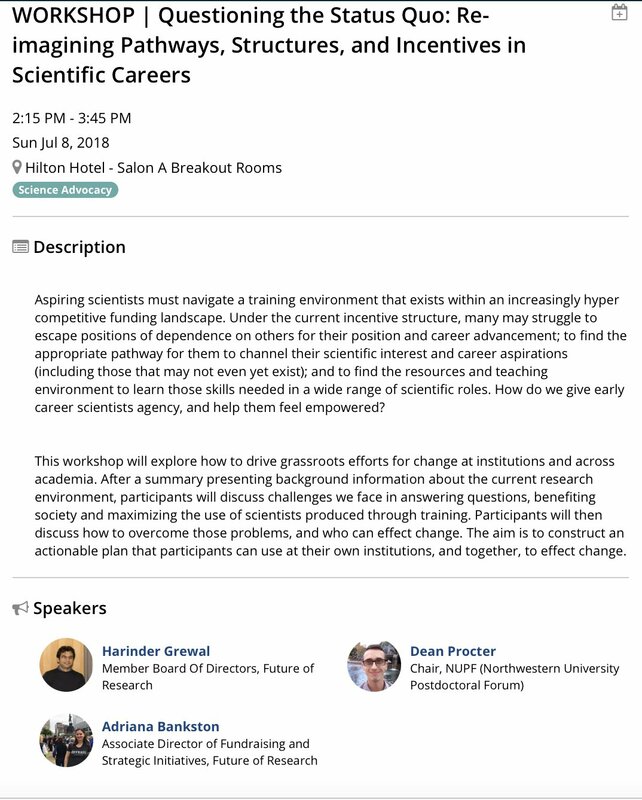 Interestingly for us, who have largely given these kinds of workshops to an academic audience, was the awareness of this audience about the issues faced by scientists in academia, as well as the need to train scientists to explain their science to various audiences in order to positively influence society. Materials from the session, some of which was also presented during the workshop.